Price matters. 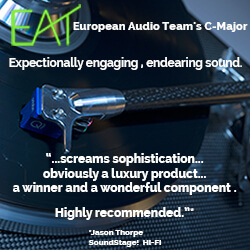 There have been many times that I’ve agreed to review an expensive component because its high price fits right into the wheelhouse of SoundStage! Ultra. In fact, I’m kind of embarrassed to say that a fat price tag has been, perhaps, the primary requirement for review on this website. Maybe not. With some 20 years of reviewing under my belt, as far as high prices are concerned, I’ve been there, done that. In those years I’ve come to realize that price tells me almost nothing about an audio component’s sound quality -- there’s no longer any mystery about it. Maybe 15 years ago I was still wearing green-tinted glasses, but age -- and experience -- have given me a bit more discernment and wisdom, thank God. Take speakers, for example. Here’s a bit of homework: Go to the Scan-Speak webpage that lists that manufacturer’s Illuminator drivers, and study them closely. These are some fine drivers, maybe even world class. After you’ve gotten a good grasp on what these drivers look like, surf the websites of a dozen makers of ultra-priced speakers -- say, those costing $50,000/pair and up. How many makers of the world’s most expensive speakers use some of these Scan-Speak drivers as the basis of their designs? In ten minutes I found five companies, and I know there are many more. There’s nothing wrong with Scan-Speak drivers -- using them, you can design and build a set of wonderful speakers. But that’s the problem: It’s been done, over and over and over, and that fact begs two questions: Other than their prices, what sets the products we review apart? What makes them Ultra-worthy products? If you accept that the drive-unit is of critical importance in a speaker’s sound quality, then a series of speakers designed around the same drivers does not scream ultra or extreme. If you’re trying to differentiate your 50-grand-per-pair speaker from the next, you have to offer something, well, different. There are certainly ultra-high-priced speakers that don’t include drivers from Scan-Speak, or from any original equipment manufacturer (OEM). 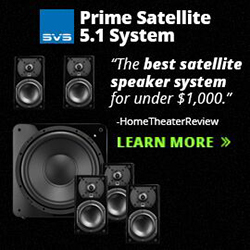 There are also plenty of lower-priced speakers that use proprietary or exotic drivers, but those are rarely mentioned in the same breath as SoundStage! Ultra. Consider, for example, the 7” beryllium midrange driver used in all five stereo models in Paradigm’s new Persona line of loudspeakers. Try finding a beryllium midrange driver on Scan-Speak’s website. Not there. Surf the websites of companies that make über-expensive speakers and see how many Be mids you can find. Hmm, not many there either. Why? Diaphragms of beryllium are stiff, light, and well-damped enough to be used in some of the finest tweeters in the world, and these same qualities make the element an almost ideal material for midrange cones as well. So why do speakers from Paradigm Electronics, a company not usually considered a maker of ultra-high-end speakers, have beryllium drivers when many ultra-high-priced speakers don’t? It creates a dilemma for me. That beryllium midrange, among other technical attributes, makes the Paradigm Personas perfect for SoundStage! Ultra. 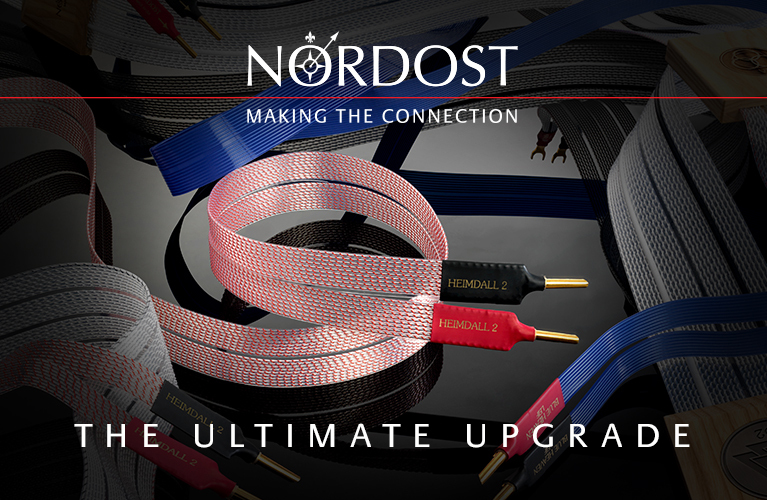 Yet the prices -- they start at a measly $7000/pair -- make them more suited for SoundStage! Hi-Fi. Never mind the fact that many audiophiles view Paradigm as more a manufacturer of mass-market than ultra-high-end audio gear. Paradigm doesn’t seem to fit Ultra, at least by the criteria I’ve typically used. Yet that Be mid may be one of the world’s best, which should make the Personas a perfect fit. I’ve got to ponder this conundrum. I can’t stand the thought of another expensive speaker coming through my Music Vault with the same tweeter I’ve seen ten times before, in ten other speakers from ten other companies -- and yes, I know: the implementation of any driver can make a huge difference in the quality of sound it produces. And yet we have other websites designed precisely for the Paradigm Personas.